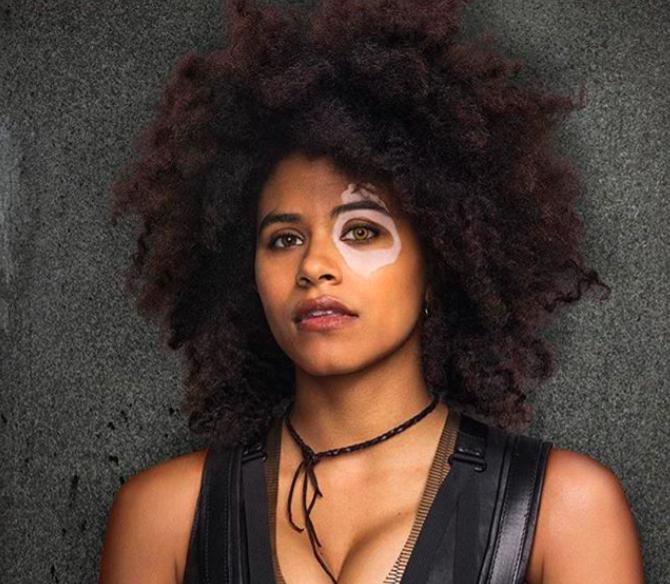 Zazie Beetz recently joined the Deadpool family as Domino. Sadly, the Deadpool set has been marred by tragedy when a stuntwoman lost her life on Monday. Joi “SJ” Harris died while performing a motorcycle stunt. Because Harris was seen wearing what looked like the Domino-costume, it is believed that she was Beetz’s body double. "On Monday we tragically lost one of our own — Joi SJ Harris. My heart has been breaking the past two days and I have been searching what to say or do. I know that what I feel is nothing compared to what her loved ones, friends + family are feeling. My heart and my love goes out to her and them all. The cast and crew send peace, healing, and their deepest condolences." After Monday’s tragic accident, the cast and crew were given two days off from filming. On Wednesday, they had to return to work, so Ryan Reynolds led everyone in a moment of silence in honor of Harris. According to TMZ, Harris was a professional motorcycle racer and the first African-American licensed woman in the sport. This was her first film as a stunt driver. However, veteran stunt persons believe this accident could have been avoided. “She was a highly qualified motorcyclist racer but not an experienced stunt person,” Conrad Palmisano, a veteran stunt coordinator tells The Hollywood Reporter. No matter her training or the events of the tragic day, the whole thing is heartbreaking. RIP Joi “SJ” Harris.